Maria Balogh didn’t mean to create a citywide event. 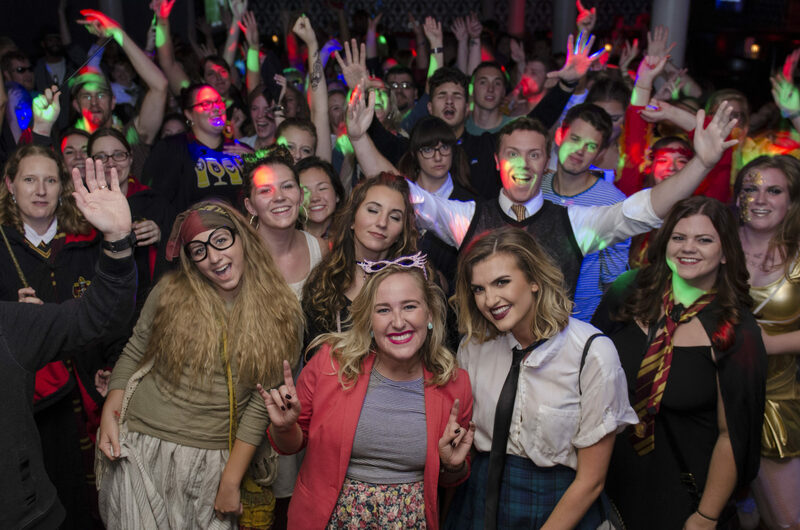 In August 2015, when she made a Facebook page for a Harry Potter–themed bar crawl, it was just meant for her and her friends—only Balogh accidentally set the page to public. Within a month, almost 10,000 people in the Twin Cities had RSVPed yes. Most people probably would have been overwhelmed, but the local Potter fan, who has a background in advertising and a love of event planning, decided to run with it. “I figured I couldn’t disappoint these thousands of people,” she says. So she started talking to bars and companies in Minneapolis, and soon businesses were even reaching out to her to get involved with the Pub Crawl That Must Not Be Named. Throngs of people attended—it’s hard to know exactly how many, since there are no tickets for the event, but based on reports from the participating bars, the number seems to be around 3,000. “Long story short, we had a blast in 2015, and immediately following the event people started asking when the next event would be,” Balogh says. And once again, she couldn’t disappoint. 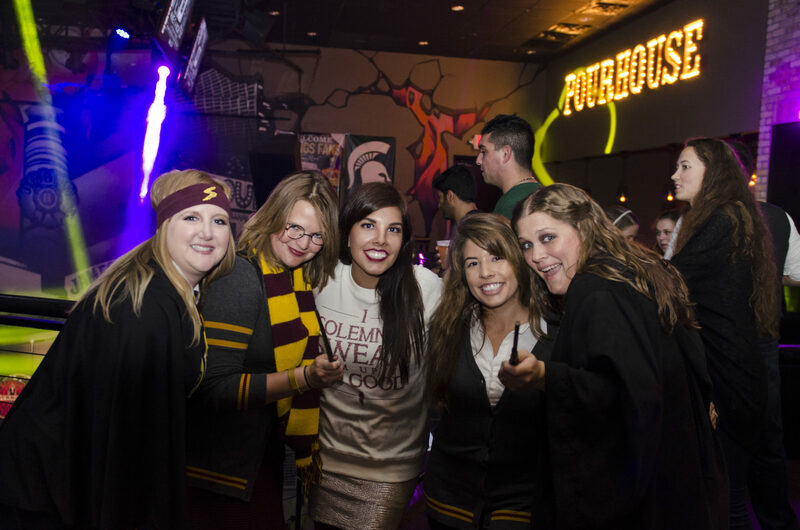 It’s at that point she decided to create Brooms & Brews, which she describes as “a year-round Facebook page for local Harry Potter fanatics to connect and gear up for events each year.” Now in its third installment, the pub crawl has proved to be a repeat hit, with more local bars getting involved each time around. Eleven locations in downtown Minneapolis will be participating in the 2017 event, which takes place on on Saturday, September 23. 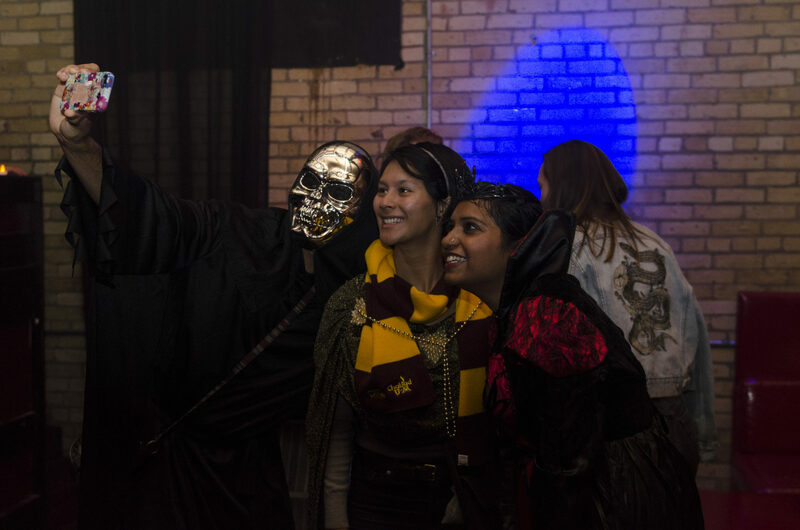 She also notes that although the evening does revolve around bars, she has seen families come out just to interact with the costumed crawlers and heard from nondrinkers that the event is fun even if they’re not imbibing. 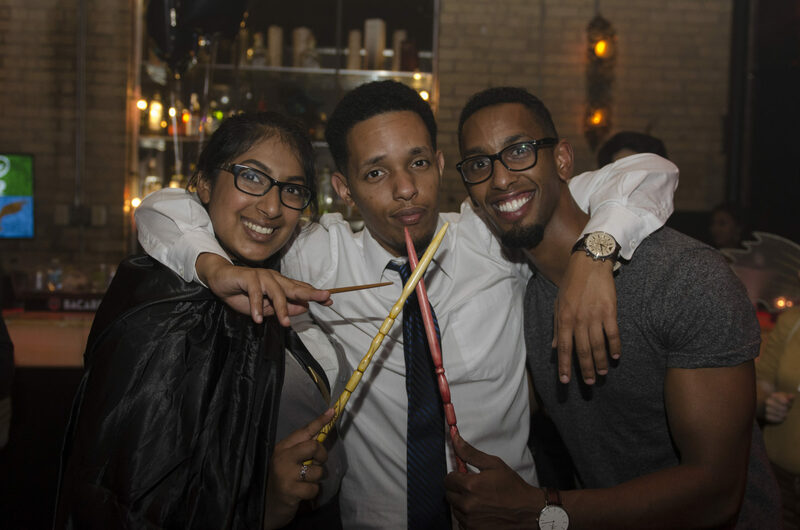 Aside from the drink specials, there are the decorations, the photo booth, the costume contest, and generally getting to hang out and have fun with other Potter fans. There is also a book donation station at Rouge at the Lounge to help spread the reading fun to local libraries. For more information about this year’s pub crawl, visit the Brooms & Brews website or the Facebook event page. You can also follow Brooms & Brews on Facebook.